The market that's flying by? They must have acquired some large nets for it. I personally do not know anybody in the IT who owns an AMD product these days. The iMacs at my workplace have AMD GPUs in them As for CPUs, it will be a while until you see better adoption in such markets. On the more mainstream side, I've seen a lot of people building new PCs with Ryzen in them. the R5 2600 seems to be much cheaper than the i5 8600 right now in my region 240$ vs 310$ - tax included (although it seems the 2600x has some stock issues and is more expensive than normal). I have been recommending Ryzen to all my clients and friends and just built a system around the 2700x for myself last month. Massive improvement in Blender modeling and rendering. Agnomen, Jules Mark, Theinsanegamer and 1 other person like this. Prebuild PCs and mobile (laptops), that's the answer. Excellent. Time for Intel to be punished for their crimes. Like adding 11 huge security holes to their spying-crappy-hardware. What's their company logo? "Spying people all over the world for the last 15 years". Drop in sales is not enough. They should be fined in billions for opening those security holes. And someone in the company should be imprisoned for those crimes. Those people are basically traitors. Someone has ordered to the engineers to create and keep open those holes for so many years. Because sure as hell all of them weren't just "mistakes". The only mistake was that someone has discovered and published them. For the whole world to see what kind of spying crapware is Intel selling. Professional IT wont switch over for a few years at least. They will wait and see if AMD proves their support and consistent product releases. That being said, we have a couple hundred new ryzen laptops from lenovo, and they perform WAY better then the FX laptops we had before. Ive seen a lot of home builders going with ryzen, and ryzen laptops have started popping up lately. I also saw an EPYC server in the wild this week. AMD is coming back, the recovery is starting off slowly. But their sales dont lie, people are buying ryzen. HardReset, Agnomen and JaredTheDragon like this. TSMC 7nm Zen 2 maybe April 2019 will be the game changer for many people I feel. AMD will have a process lead over Intel. A process lead! It's been WELL over 10 years since AMD had process parity, let alone a lead! With the lack of an equivalent 10nm response from Intel then AMD will almost certainly make big gains in the market. They can knock out 6 or 8 cores cheap and with higher clocks than seen before from Ryzen. 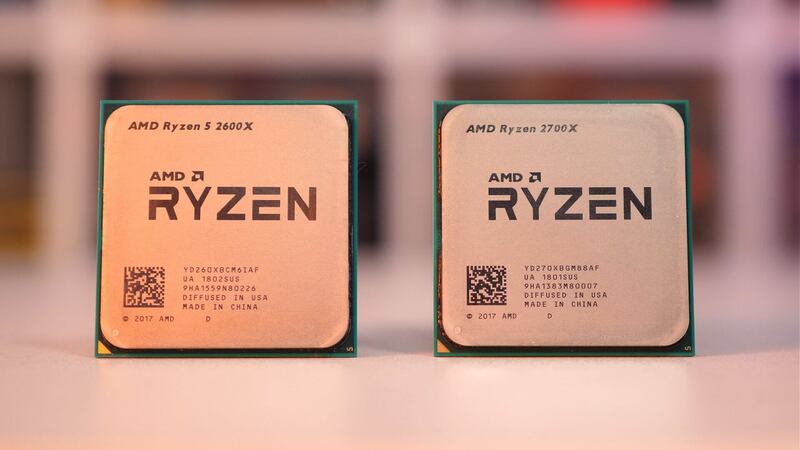 AMD literally need just a 5 percent IPC improvement and a 10 percent clock speed gain from Zen 2 (both should easily be within reach) and they will have an answer for every Intel part available during all of 2019. Yeah, but then NSA and other similar agencies will just target AMD and force them to open 10 new security holes. In addition to the ones they have now.